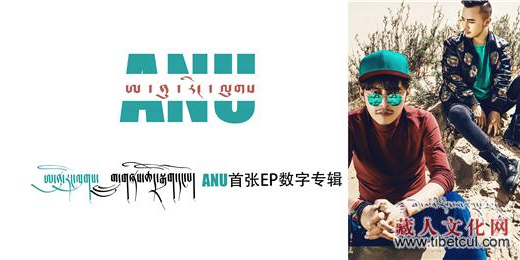 ANU are two young men from Nangchen called Payag and Gonpa who make brilliant pop music in Tibetan language. Their previous songs are “Anu”, “Leaving Home” and “Joke”. “Fly” is their fourth song. ANU means youth and their full name in Tibetan ཨ་ནུ་རིང་ལུགས། (anu ring lugs) literally means the doctrine/philosophy of ANU, or, ANUism. ANUism also includes a group of friends and collaborators (shown above) who work on their ANU fashion brand and ANU Cultural Media Company. 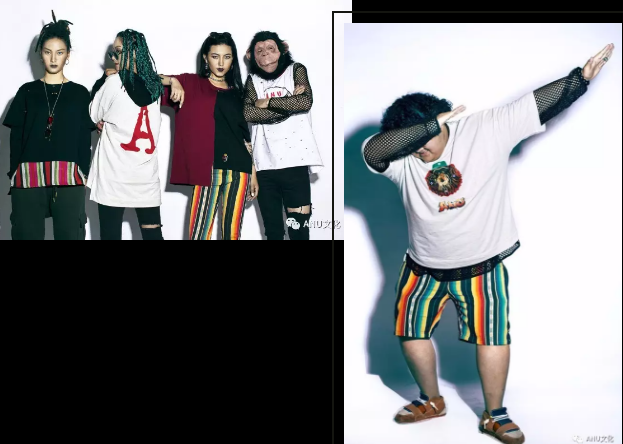 The video for “Fly” also serves as a showcase for their fashion label and group of friends who are all active and savvy on social media such as WeChat, Weibo and Meipai. Even on social media networks outside of China such as YouTube and Facebook, the video has easily racked up over 22,000 views to day. After graduating, both of them immediately rushed to Beijing. They polished their skills and studied at the Philharmonic Orchestra during its most flourishing period. They became the founders of the fashion brand ANU and simultaneously established their own ANU Cultural Media Company and their band. In 2016 they released their first digital EP titled “ANU”. The song “Leaving Home” narrates the story of them leaving their home soil, going far away. This song represents a road and it is also a confession. “ANU” is the name of one of their songs. It is about the feeling of drifting about, but also their way of expressing their enthusiastic and youthful attitude towards music. It would not be an understatement to say that the song “Fly” has taken the Tibet world by storm, both on and offline and both inside Tibet and outside. 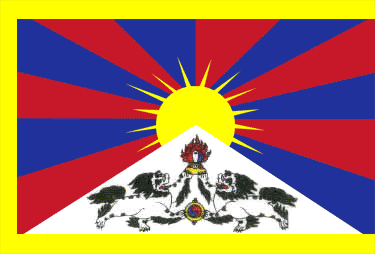 It’s arguably the most ubiquitous Tibetan song since New Generation came out in 2010. 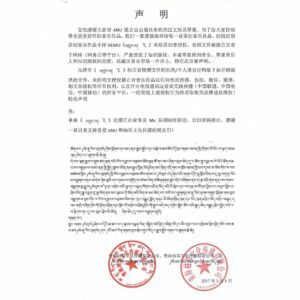 Voice of America Tibetan Service’s Cyber Tibet programme of June 9 noted the ANU phenomenon and showed videos of many Tibetans praising the song. “Fly” was even the signature song for the 2017 Miss Tibet Pageant held in Dharamsala, India, in June 2017. ANU may be young and their music fun but both their approach to their work and the quality of it is very professional. Noticing that their leaked demo of “Fly” was circulating without their authorisation before official release, on May 8, 2017, ANU issued the following statement via their social media channels. Any organisation or individual possessing audio or video files related to our demo “Fly”, please remove and delete them voluntarily. Without written authorisation, the broadcasting and spreading of our music is prohibited, which includes: WeChat, Weibo, any other related neighbouring rights as well as all platforms by mobile virtual network operators that allow wireless broadcasting (China Unicom, China Telecom, China Mobile). Should we notice any violations of the above, we will pursue legal actions to protect our rights! Our single “Fly” is currently being recorded and a music video produced, which will be released soon. Once again, we thank our fans for always supporting ANU. Please see the video for “Fly” with English subtitles below with the lyrics underneath. There is also live footage of ANU performing recently in Yushu on YouTube and also their behind the scenes video is worth a watch. Fly to the realm of happiness. Fly to search for the highest soul. If you yearn for liberty – fly!